WITI & Red Herring Partner on Special Section! For more info contact Mike Sly, VP Corporate Programs: [email protected]. Catherine Brune has come a long way. Originally hired by Allstate as a keypunch operator, today she is the company's CIO, responsible for the Fortune 100 company's information technology and the more than 6,000 people who build and maintain them. The path to achieving executive status at one of the country's largest insurance providers wasn't a straight line, but Brune attributes each step as part of the experience that shaped her into the leader she is today. WITI Member Rachel Bondi Pens New Book! Rachel Bondi, WITI member and speaker, has penned the book The Wealth Gap: Bridging the Eight Gaps to Women's Wealth. Author Rachel Bondi is an entrepreneur and former director at FORTUNE 100 companies such as Microsoft and AT&T. She has appeared nationwide on radio and in print, been voted one of the Top 10 Women of Power by OC Metro magazine, and 2006 Top CFO by the National Investor Relations Institute of Orange County. Featured in TWINS, BROKER, and the OC Register, Bondi has been interviewed by diverse media outlets including MSNBC, TIME Magazine, Tokyo Times, The Wall Street Journal, and has been a featured guest for The Mix on CoxTV and radio nationwide. Glotel offers top performers a competitive base salary, an aggressive commission structure and rewards - with our top performers routinely achieving a six-figure + income. Talented people who are truly valued by their customers and respected by their industry peers! 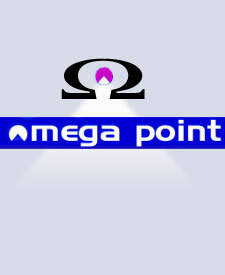 Omega Point is an IT management consulting firm that specializes in working with IT groups to achieve high performance and increased value to the businesses they serve. To improve IT organizational effectiveness, we help IT leaders strengthen management capabilities, implement new ways of working, re-align and re-structure, improve IT staff performance and grow IT leaders. Business Workshop 2007: "From Bench to Business in Biosciences"